Opportunities for teaching and learning are everywhere. Language is also everywhere. Given this scenario, it drives me crazy when I hear someone say: “this is a horrible tool”; “I don’t know how this could be used for teaching”,or “this is just a game”. I have always been an advocate to the fact that a good teacher and a good speech therapists will not need specific tools to teach students. Well, specific tools that do the work for you are great because they guide us on the teaching experience; however, we must not forget that a tool is JUST a tool and it was not designed to replace you as a therapist or a teacher. (Please note I am not at all discrediting the advantages of apps for learning ; as I have created 21 of them myself). The explosion of apps for children with special needs, has pushed us to want tools that do more and betters things all the time. I am afraid we may be forgetting to use our creativity to transform any “useless” app into a great tool for learning. It all starts with the need to motivate the students to want to learn; what better way to do that than using something that already draws their attention? I have decided to start this series on “from useless to learning apps” with one of the biggest game apps of all times: Angry Birds! If you are not already hooked into Angry Birds, or are afraid of loosing your prestige because you downloaded it, you may find a good excuse for downloading it or owning it on this post. 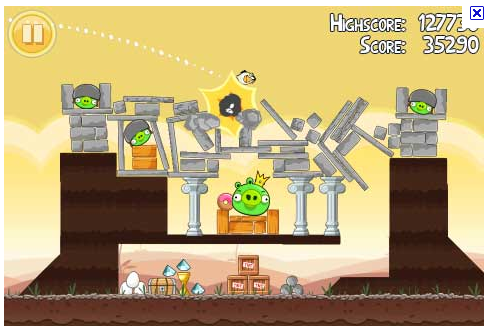 The idea behind Angry Birds is that the birds need to hit the pigs to move on to the next level. You may have noticed that in order to win the greatest number of stars you may need some strategic thinking prior to sending your birds out there. 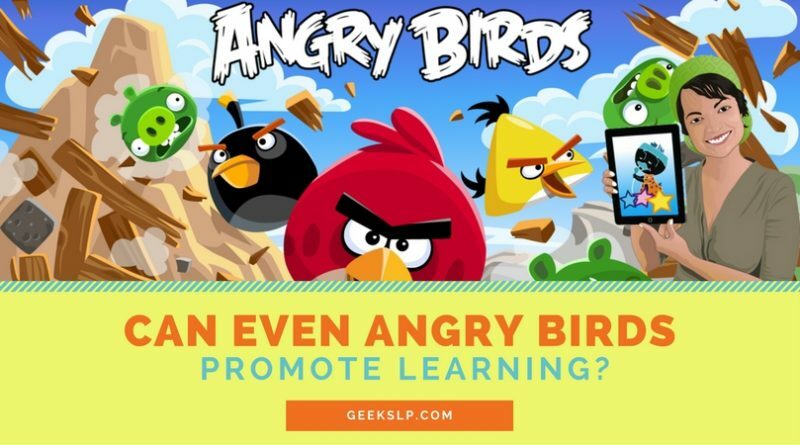 I see that Angry Birds can be used in so many different ways to teach students new vocabulary, the use of coherent language, basic question/answering skills and even story telling skills. You will just need to adjust the level of scaffolding needed to get into the skills you are trying to get into. As a parent, instead of prohibiting your child from playing the game, consider having activities your child needs to complete prior to or after moving on to the next level. 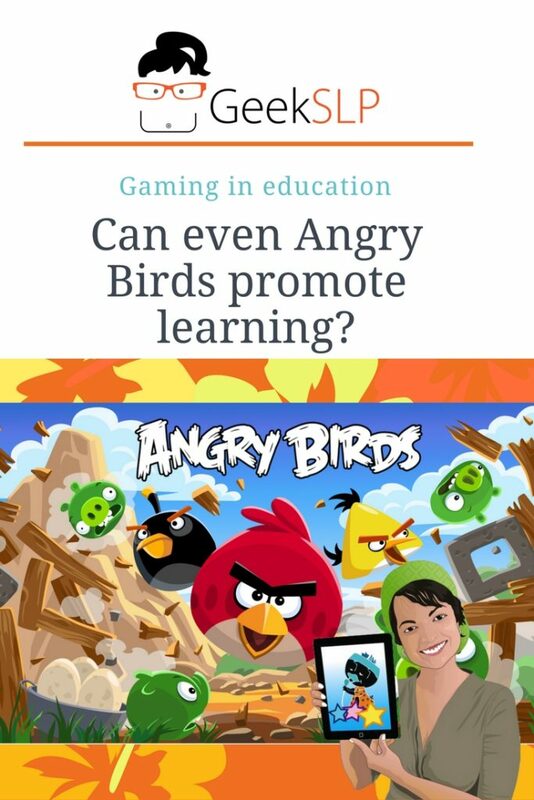 Here are some ideas I was able to come up with on how even Angry Birds can be used to promote learning. 1. If your student/child is already familiar with Angry Birds, get him to explain the whole game to you. If you are working on writing skills, this can even be a written assignment. There are several questions that can be used to get students to use language just by talking about the game itself. 2. You and the child can play one or several levels together; however the child has to describe their strategy to getting to the pig prior to playing the level. If you are with a group of students; how about having each student think out their strategies separately and get them to discuss which strategy is best and then put into action? d. Adjective: used when describing the areas & targets in which the birds must land. Maybe students can take turns to guide each other using key words to complete the levels. 3. 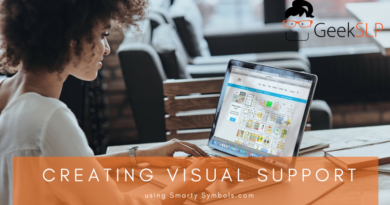 Select a level and ask the student to play it once, then ask them to describe their strategies verbally or create a written material that describes their strategies. When teaching students to describe activities using coherent language (a skills that can be very limited in children with language disorders) we want them to follow an order…” you first did this.. then that”. You can use each level on Angry Birds to teach that skill. The game has an order in which things happen. You can guide students to describe it step by step which you guide them. You can both sit together to reproduce the steps he describe on the same level and even think out better ways to achieve the same goal. Excellent post- great analysis there. We are SO on the same page! I agree! I was using angry birds as a reward system for the last 5 min of therapy, then I realized the plethora of language capabilities this game holds. 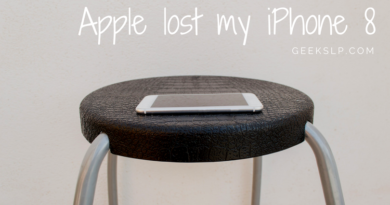 I continue to use it, but now as a therapy tool…and the kids are HIGHLY motivated!! 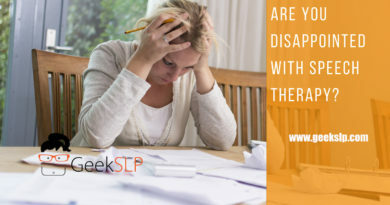 Glad to see someone especially of all the people an SLP (just kidding don’t throw darts at me thinking out of box. I am sure your kids won’t stop talking about the angry birds with all the language they can muster to describe it. Exactly!! Well put!!! A tool is just that – a TOOL. It does not replace the expertise and skills of a professional . . . there are many ways that one could turn a cardboard box into a therapy activity . . . it’s the professional that guides the usefulness of the tool!! I have teachers tell me all the time that they don’t want the kids using these “useless” game apps, however, like you, I hear a lot of language every time I sneak a game in with my students. I have used similar strategies like the ones you listed with all different kinds of students (artic, language delayed, stutterers) … it just plain works! Thanks for the nice post. I totally agree! I love that you are writing on this topic! It is so important to see the iPad and all its great apps as being instructionally relevant! The fun part is clear! The real magic is in the teaching! This is wonderful! I was truly resisting downloading Angry Birds, which is wildly popular among my elementary school aged children’s friends because I thought it was most likely a mind-numbing, useless game. You have shown me the light! I always love your posts Barbara! You give such valuable insight and wonderful strategies! Bravo! I too think these types of apps are great. Thank you for writing about it. I have used games like Angry Birds with my students with autism. Not only is it an incentive, but it also gains the interest of peers. It is not always easy to find a medium of exchange between my students and their peers. Angry Birds has been a great way for one of my nearly non-verbal students to show he can enjoy (and be good at) the same game as his classmates. Using this game for middle school kiddos, it is great for use of procedurals, turn-taking with a group, course-specific vocabulary such as in math–arcs, obtuse angles, acute angles, arches, diagonals, and a plethora of sequential terminology. The game can be used as a barrier game to assist with describing and have one student describe the scene to another student using information such as setting, specific coloring of scene, as well as what Barbara mentioned, use of the prepositions, adjectives and adverbs. There can also be the use of prediction for students to guess what will happen if……. This can also be used for articulation (The harrassing bird came crashing through the air and went through the rubble.) This can be used for fluency and the student has to use a strategy to explain their strategy or make up a sentence about the scene before they can send a bird into the air. There is a myriad of language activities that can be used if you use your creativity. Angry birds just happens to be a motivating one! Oh please tell me yes – I have to find a way to recoup the hours I have spent playing this game! Now I can say that it’s research into a reinforcement tool that is also a language stimulation resource!! Thanks for the justification…! How about having the kids practice sounds as the birds are flying? For example, students can say “sssssssssssssssssssssssssssssssss” until it hits a tower. Just had that thought as I was reading this. You could split the blue birds into three sounds like /t/ /t/ /t/ or /p/ /p/ /p/. 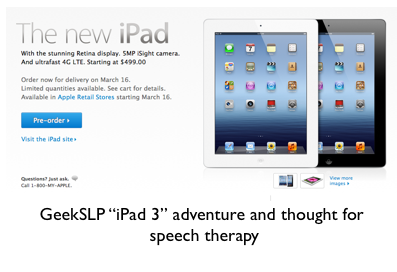 One of the reasons why I love being an SLP – we can make anything a learning experience! Describing strategies what worked, what didn’t, why, and what could you do are great ways of promoting language and critical reasoning. Excellent idea!